• America was fighting a war in the Middle East. • The nation’s economy was in a very poor state. Fast forward 20 years and the headlines are the same with little sign of the war ending or the economy improving in the immediate future. I find myself asking how 20 years have passed so quickly and how so much could have happened and yet so little has changed, and more importantly, I wonder what the future holds. For me personally, life hopefully will mean travel, enjoying my family, working on interesting projects and doing all the things we have been unable to do during the years when work came before everything else. As for the future of the floor covering industry, well that’s a little more complicated. Although the stock market is currently trending upwards, unemployment remains high, there is much political discontent and the fall-out from the banking chaos of the past couple of years continues to raise its ugly head and it’s likely to continue. Here's a look at the current major dynamics affecting our industry. New home construction, which like it or not, is the major driver of our industry remains depressed. September's figure for single family units was down nearly 14% over the same time last year. The overall numbers may be improving slowly but we are still light years away from the heady times between 2005 to 2007. It used to be when home sales declined the repair and remodel segment stepped up to offset the slack. This time it has not been the case. Even though the report from the Joint Center for Housing Studies at Harvard released recently forecasts remodeling growth in 2011, this outcome remains very much to be seen, and a remodeling survey released this fall confirms that homeowners plan to scale back the size and scope of their remodeling projects. Both new home sales and remodeling rely greatly on the ability of consumers to borrow money from banks. Despite historically low interest rates, lender’s requirements for a 20 percent deposit lessens the number of qualified buyers and often means those who are qualified will have insufficient funds for remodeling after the purchase - and that’s traditionally been a major source of activity in floor covering. We have not yet seen the end of the foreclosure mess; short sales continue (they were 12% of sales last month) and inventories of unsold homes are still high. Some estimates put the excess supply at between 1.4 and 2.5 million units now. The average size of new, single family homes is decreasing as consumers trend towards downsizing. The National Association of Home Builders reported earlier this year that more than 95% of builders surveyed planned to build lower-priced, smaller models this year. This trend will obviously impact the demand for floor covering. Uncertainty surrounding job security and the inability to viably fund the home sale and purchase process means employees are reluctant to relocate their families to different parts of the country; again affecting the housing market. Although the unemployment numbers are not rising dramatically they are not declining and current forecasters expect unemployment to remain above 9 percent in 2011. Many companies are not hiring, and indeed much of the improvement in earnings of public companies is a result of reduced operating costs (including labor) rather than increased sales. Home Centers and some large retailers, like Lumber Liquidators, report their sales are increasing as they take market share way from specialty retailers because price conscious consumers are focused on price alone. Consumers are trading down in the floor covering purchases. Before the recession they invested in floor covering and appreciated Lifetime or 50 Year Warranties; now they are looking for something that will look good and get them through the next five years. This is partly because big box stores and retailers like Lumber Liquidators have “commoditized” flooring and in the consumer’s mind every ¾” oak wood floor and every wool carpet are equal. Meanwhile, prices for floor covering have increased because large scale manufacturing and distribution efficiencies enjoyed a few years back have been lost with declining sales. Here is what I believe we will see in 2011. Continuing slow improvements in the housing market as foreclosures, existing inventories and banking rules slowly get sorted out. The “big fish” manufacturers who offer carpet, vinyl, hardwood, laminate and ceramic continuing to fight for a bigger slice of a smaller pie. Continuing uncertainty for distributors as domestic manufacturers continue to search for cost reductions in the supply chain. Globally (with the possible exception of carpet) I do not believe the US flooring industry will secure significant additional business overseas. Overall, I do not expect to see a major improvement in 2011 vs. 2010 - although I will be happy to be proved wrong. I am not being pessimistic merely realistic and I urge all of you, irrespective of size and position in the supply chain, to continue to monitor operating costs and cash flow so that when the industry really starts to improve you are still here to enjoy it. Finally as we near the end of 2010 let me thank you for allowing me to be part of your industry for the past 20 years. It has been, and still is, immensely enjoyable and rest assured as the economy improves the floor covering industry will improve with it to the benefit of us all. If you need my help let me know and as always if you have, thanks for reading this. A few years ago Thomas Baert, president of Chinafloors and its brand Lamett USA told me “China has been the low cost producer but soon it will be the source of innovation.” That was quite a statement considering in the 1990’s the country’s reputation was to partner with Westerners simply to access modern technology and information. That, like so much else is changing remarkably fast in Chinese flooring. I have visited China about twice a year since 1992 and every visit reveals something new. I just returned from my most recent trip and can confirm that the metamorphosis continues. Just riding to the airport in Shanghai I saw more building cranes on skyscrapers under construction than probably exist in the whole US Midwest. Rather than the low cost imitator that China was known to be, more and more we see advancements and product improvements in floor covering coming from China. Ray Pina of FCW noted this in his article “China’s Vinyl Market Thrives on Innovation” but innovation is not limited to vinyl. In the last few years we have seen new products such as strand bamboo, high gloss laminate and click LVT coming from China. These are not low cost category killers but rather products at the high end of the spectrum in each category that have been developed in China. Chinese LVT manufacturing leaders Novalis and Shanghai Jinka Flooring Technology are both working on new products that will inevitably show up in the USA under the brand names of their large American partners. New designs, finishes, sizes, profiles and materials are all in development as sales of LVT continue to grow. On this trip I saw new products that reflect the country’s increasing focus on the environment and sustainability. For example, at Sunyard (Zhejiang Shiyou Timber Co.) I saw the latest version of direct printing of exotic wood patterns onto HDF and plywood with sustainable veneers. They are also working on a process to compress fast growing softwood species to create harder, dent resistant wear surfaces and they are creating faux grains in wood using pressing techniques. 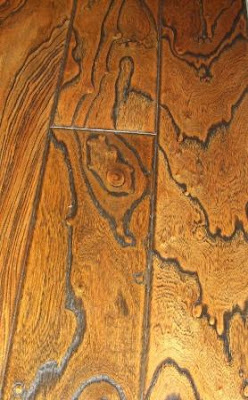 In recognition of the increasing focus on the environment and innovation, the largest flooring show held in Asia, Domotex asia/CHINAFLOOR (DACF), has incorporated the theme Innovation and Respect for Nature into its upcoming show (March 22-24, 2011) in Shanghai. DACF will ask its exhibitors to submit information about their most innovative products which will then be featured for the international press to review and write about. Those of you planning to attend the show can contact me and I will direct you to those booths. People who watched the Olympics’ opening ceremony in Beijing witnessed an example of China’s creativity, organization and ability to produce. That country first impacted the international flooring industry as a low cost provider but it is rapidly evolving with creativity of its own. 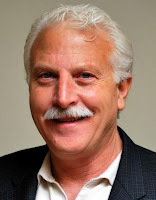 According to my associate, Stuart Hirschhorn of Catalina Reports, Chinese flooring exports to the USA are up; no doubt in part because of their continued low prices, but to my point, it is increasingly because of innovation. He confirmed that US imports have changed from largely low priced goods to a much broader range that includes top of the line products. It is interesting to watch these changes and important that we don’t underestimate what they mean to the industry. I'm happy to discuss this with you here on the blog ... just leave a comment, or feel free to contact me. Have you considered the state of creativity in flooring? An interesting article appeared recently on TalkFloor.com titled Consumer Purchases Influenced by What's Under Foot? which had me thinking about it. The article caught my attention for two reasons. One because it addressed the consumer retail experience, a topic I'm passionate about, and cited research that I've written about on Flooring The Consumer [see Flooring Affects Retail Experience] which in turn led the Carpet and Rug Institute's Bethany Richmond to write Carpet Steps Up Retail Sales, Study Says. It also intrigued me because the company responsible for the article - Desso - is one I wrote about on The Carpetology Blog in World Cup Extends To Grass Carpet. Desso, an 80 year old European carpet manufacturer, seems to have embraced creativity in flooring in a way I haven't seen. As I learn more about their innovations, I can't help but think that the reason has a lot to do with being focused on the Bigger Picture for flooing. A Google search on "Desso carpet innovation" uncovered several interesting links in support of their flooring creativity. More specifically, Desso introduces Dialogue, an innovation in carpet sampling. There's Desso SoundMaster for sound absorption and Desso AirMaster carpet which captures and retains fine dust. According to Desso, their "innovation strategy is concentrated in 3 key areas: Creativity, Functionality and Cradle to Cradle. For DESSO, creativity is synonymous with CARPETECTURE®, which is a powerful example of DESSO’s commitment to creative carpet design and its dedication to meet the needs of architects, interior designers, building owners and end users. In the field of functionality, DESSO develops pioneering solutions that make a difference for health, wellness and well-being." "For us, innovation has three main drivers. The first is creativity. We have a circle of architects across the globe helping us produce the most stunning designs. We turned our company in three years into a real trendsetter. The second driver of innovation is the “Cradle to Cradle” concept. You only use a few very pure materials so that you can endlessly recycle them at a very high level. We started “Cradle to Cradle” two years ago, and we are replacing old materials in a very forceful way. In July 2010, we’ll convert all of our products into “Cradle to Cradle” concept products. We can disassemble them, re-use the yarn, melt the yarn into a liquid and re-use the liquid to make material for packing – we can recycle everything." Here is Desso's presentation describing their implementation of Cradle to Cradle. View more presentations from Integral Vision. For the record, I have no ties to Desso. I admire their creativity and commitment to innovation and hope their example will inspire other flooring manufacturers to think about the bigger picture that their products exist in. After all, we spend all of our waking moments on flooring and, occasionally, even our sleeping moments. Imagine spending it on a floor covering surface that not only improves the air, absorbs sound, makes for repeated World Cup moments and benefits the environment, but also lifts the soul and inspires greatness. That's something I wish on everyone. Well done, Desso, for embracing creativity in flooring and staying focused on the bigger picture! Developing strategies for stone and flooring construction markets requires that you understand the market and materials. You are only limited by what you don't know - and that can be remedied with good research and data. I have been saying for what seems like forever, "we have re-entered the stone age." I'm talking about natural stone of course. Natural stone is millions of years old and has been used for thousands of years by man for various uses from weapons, tools, shelter, communications, art, and building materials. But in the most recent decades stone has exploded in its use as a preferred building material. As old as stone is you would expect there to be more information about this industry. Until recently there has been relatively little statistical and marketing trend data available to help companies intelligently navigate their businesses through business threats and opportunities. During the U.S. economic boom of the late 1990’s a trend began for using natural stone in residential construction. Whereas Americans were accustomed to seeing stone used in commercial applications, it was not as commonly used in middle-class homes. Thanks to advancements in technology and improved methods of transportation, natural stone became more widely affordable and available to the public in the 1990’s. As a result, imports of stone increased and prices became more competitive and even more affordable to consumers. Eventually demand increased as people started asking their architects and contractors to put stone in their bathrooms instead of ceramic tile, and they wanted granite counter-tops in their kitchens. As companies scrambled to get in on the action, I was regularly contacted by foreign producers that requested my consultative services to conduct product feasibility studies and business plans. In researching the data from various governmental agencies and other sources, I was surprised to find that there was little information about natural stone. I saw an opportunity in this lack of information and I decided to take advantage of it. 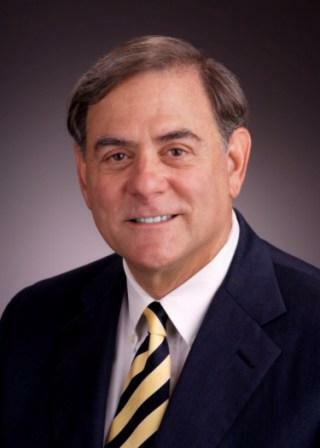 I contacted research expert and a peer of mine at the Floor Covering Institute, Stuart Hirschhorn, whose market research firm, Catalina Research, specializes in research for the construction material and building equipment sectors. 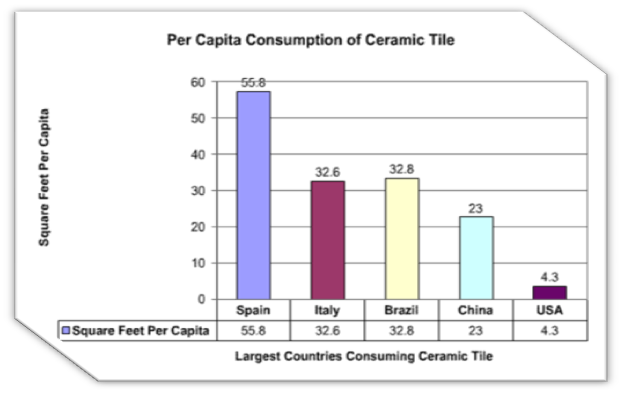 Catalina research has provided vital statistical data for the ceramic tile industry and the overall floor covering industries for years. We agreed to collaborate on a report for the U.S. and Canadian markets, and thus was born the Stone Product Industry Report. In July we celebrated the release of our third report, Natural and Manufactured Stone Product Industry Report 2010. It provides the most current statistics on granite, engineered stone, marble, limestone, travertine, sandstone, slate, manufactured stone (precast concrete), and other rough and fabricated dimension stone products. In addition, the report takes an in-depth look at the state of U.S. construction market and analyzes the potential uses of stone. Each section delivers meaningful data that assists stone industry executives to identify opportunities and to avoid potential pitfalls so they can grow their businesses and plan for the future. The data for the report is collected from U.S. government agencies, proprietary research sources, industry surveys, and competitor intelligence sources in an organized and comprehensive way. Valuable information is offered on U.S. and Canadian production by stone types, shipments, exports, trends and forecasts; U.S. imports by countries of origin and stone types; stone quarry, processor and fabricator revenues, operating costs, capital expenditures, profitability and competitive environment; industry capital expenditures and machinery costs; U.S. economic factors affecting stone demand; U.S. construction of residential and non-residential buildings and household demographics; U.S. stone sales by end-use market and application. There are also sections specific to products such as counter-tops, engineered stone, pre-cast concrete stone, stone flooring, and more. One of the key ways of gathering information about product trends was by conducting an online survey among leading U.S. importers, distributors and fabricators. Since the first report release in 2003, my company has created the survey sent it out to 2500+ industry leaders every other year through a web-based program. The results give us vital insight that we cannot otherwise collect, and adds a level of detail and credibility to the report. Research reports contain timely data that allows users to evaluate market size, growth potential, end-use markets, factors driving demand, profitability, market share, and the competitive environment. These reports are useful tools when developing strategies to take advantage of the current recovery in the residential remodeling market and the future rebound in new residential and non-residential construction markets, and to determine how to improve operating efficiency. My advise is to you is to think outside the box. If the information you need is not readily available, don’t give up – the answers are there, you just need to find the right source to help you. A good place to start is calling upon resources within your industry such as the consultants at the Floor Covering Institute. I assure you, if we don't have the answer at our fingertips, we know who does.